Time and time again we get asked questions about door closer repairs and so we’ve taken the time to provide as much value to you by answering many of these commonly asked questions. 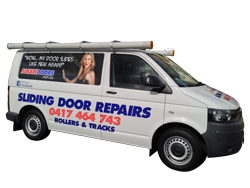 If your particular questions haven’t been answered then be sure to give us a call and speak to us directly in Sydney on 0417 464 743 for any of your door closer repair questions. What are the most common Door closer repairs? The most common door closer repairs are to Surface Mounted door closers. The Transom closer is also popular and we repair or replace them frequently and especially in commercial business situations. Should I replace my door closer or get it repaired? Most of the time it is cheaper to replace the door closer because repairing it would require a lot of time and cost and it would still always be an old door closer. How long do door closer repairs take? To replace a surface mounted door closer on say a home unit front door, would take about thirty minutes whereas to replace a transom door closer in a commercial building would take about two to three hours. Should I get my door closer repairs done by a professional or can I do it myself? 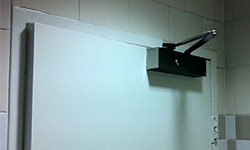 Some door closers look simple and are not as complicated as others. However, only the profession knows what type and of what strength door closer to use. He knows where and how to position the door closer on the door so that it works correctly and gives good life. I live in an apartment and I have a thing on the door which makes the door close all the time. It’s a nuisance. Can you take that off the door closer so that it does not close every time when I am going through it? If you live in an apartment or home unit the front door is probably fire rated and a fire exit. The door closer cannot be removed from the door because in the case of fire doors the door closer has to be fire rated and keep the front door closed so that any fires will not spread. Our door slams all the time. We live in an apartment and our door slams when it closes and makes a terrible noise and the neighbours complain? Can you fix it so that it closes quietly and gently? The most likely solution to your slamming door problem is to replace the door closer because the existing one is worn out. When the door closer lets the door slam it is because the hydraulic seals are worn and perished. Once the door closer has been replaced with a new part, it will closer gently and will not make any loud banging noises. Your neighbours will love it. I work at a medical centre and the door keeps slamming when the patients come and go. I cannot see any hinges. Can you fix this? If you cannot see any hinges on the door then you either have a transom door closer in the frame at the top of the door or you have a floor spring in the step. Either way, we can replace your door closer and adjust it so that your door closes as gently as you like. The staff door in our kitchen at the restaurant swings both ways in and out but lately it has stopped closing properly and the clients can see inside the kitchen. It has no hinges. Can this door be repaired to close properly? This door problem can definitely be fixed. Your kitchen door has a door closer which is located on the floor. This particular door closer is referred to as a two-way door closer floor spring. We can remove the door and locate and remove the floor spring and replace it with a new floor spring and then adjust it to make it close the way you want it to. For more information or to request a quote, please Contact Us via the number below and speak to someone who can help you straight away for all your door closer repairs. We are a door closer specialist and have fixed hundreds of door closer doors over the last 20 years.